Service was great. Axonware contacted Graphisoft subsidiary ..
ProgeCad is the best software ever, it does everything we need for a small electrical manufacturer a.. Excellent software which does everything other cad software does and more. I am very glad I bought .. 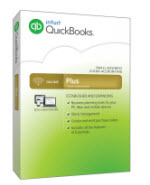 I am very pleased with quickbooks and the ease of use. I like the way you can go back and amend a re..
We used Axonware and specifically Dan to help us migrate our Quickbooks desktop version to the cloud..
Dealt with my AutoCAD LT issue in a timely and efficient manner. Always pleasant to deal with. Fantastic software for the price. No forced subscriptions. It does everything you need for a fractio..
Hi Must say all my dealings so far with Axonware have been very positive.Julie very helpful and ..
An excellent and competitively priced CAD programme with a first class technical service when a prob.. Excellent software. 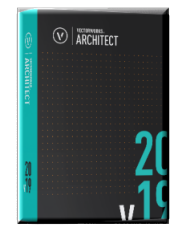 Vectorworks goes from strength to strength and is capable of handling all projec.. Excellent product for a fair price with prompt and efficient help on the rare occasions it is needed.. This company has been brilliant, helping me through several crises, such as computer crashes, update..
A good alternative CAD program at a reasonable cost! I had a very stressful problem (all of my own making) whereby I deleted my Quickbooks software. Dan ..
FA Equipment & Packaging, Dublin. We had an issue with Quickbooks software...couldn't open....lost. .. This is a very cost effective alternative to AutoCad and I have used it for around 5 years now. As w.. Excellent software. Familiar features and commands. Virtually no learning curve for AutoCad users. I am delighted with the ProgeCad software I bought last year. The price was commensurate with my per.. I have used progeCAD 2016 for some months now and I find it does everything I need, neatly, efficien..
An excellent CAD software programme that does everything one can ask at a very reasonable cost and n.. Thanks to Axonware's quick email response to my urgent problem (laptop died and needed to re-install.. I can not praise the lady that I was dealing with in the Irish office highly enough. She was so help..
Can't thank Axonware enough - laptop died, was as dead as a doornail, with naught to be recovered (a.. Brilliant piece of software and a fraction of the cost of AutoCad, well worth purchasing, good help ..
Sketchup Pro is an ideal 3D package for any designer, easy to use, accurate and fun. As a sheet meta.. Simple to use. i have been using QuickBooks for 10 years. very satisfied with the brand products and..
Having used QuickBooks for several years, we received great practical support and advice from Dan an.. I have used various versions of Quickbooks for close on 20 years. I would highly recommend Quickbook.. I have been using Quickbooks since 2008 and have upgraded through the years without any difficulty. .. I have been using QuickBooks for a number of years and I find it a quick and easy package to use. I ..
Good drawing program. Internet activation is a slight hassle but we were promptly helped after a .. I would recommend it to colleagues and employers. I would probably give it a 5 simply because its a .. 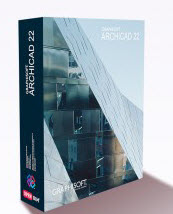 I need to switch frequently between Mechanical Desktop R6 (AutoCAD 2002 based) and another similarly.. It is 95% as capable as auto cad, and not as heavy. Only troubles have related to hatching and sensi..
Been using Progecad since 2006 and I am always delighted with the ease of use, functionality and qua..
ProgeCad is a value for money package, and I use it for updating legacy data. I have had no formal .. In my opinion quick book is still the best user friendly accounting software to me, I personal will ..
Easy to use, customisable reports are handy, reliable, and has done what we asked very well! Big steps forward in the development of this software package. Whilst memory hungry the benefits are..
Great drawing software with strong 3-d and BIM capabilities. East to use, intuitive and very quick t..
As an ex AutoCAD user I found it easy to use and powerful. The interface is easy to use and I was a..